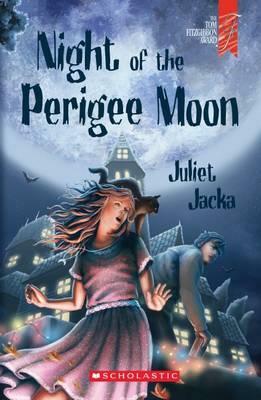 Think up your best insult, and be in to win a copy of Juliet Jacka’s award-winning Night of the Perigee Moon. Do you like magical talents, talking cats, dogs and bats? Or how about fantastical feasts, yo-yo masters and entomologists in the making? Then my book’s for you. Here’s the blurb. All Tilly Angelica wants for her thirteenth birthday is to be normal! But with her changeover party looming and her mad, magical family gathering from near and far, Tilly is set to inherit a terrifying or tantalising talent of her own. But what if she inherits Hortense’s talent of super-smelling, with an oversize nose to match? As the enchanted Angelicas gather and Arial Manor becomes a madhouse, Tilly’s troubles are tripled by her creepy cousin Prosper, and his sinister plot to bewitch the family by harnessing the powers of the Perigee Moon. Halfway through the book, my heroine Tilly has to come up with a hit list of inventive insults. Here are three of her favourite ones. Can you come up with something similar? Send me your best one-liners (no rude words, thanks! ), and the winner gets a free, signed copy of my book. Night of the Perigee Moon, winner of the 2013 Tom Fitzgibbon Award.